I have been so busy lately, that I somehow thought I already wrote this post. The to-do list in my head is just so lengthy that I guess I got really excited about crossing stuff off of it and this got inadvertently crossed off. Granted, I did post some of the photos on Facebook, so that is probably part of the reason I forgot. But, a few Facebook photos don't tell the whole story. I want to remember some of this and I want Abbey to be able to read this someday. So, here we go. A couple of weeks ago, Abbey was sitting on our large leather recliner in the living room. She lay back, relaxed and then asked me to go get her drink. I asked her, "Are you Queen Abbey"? She replied, "no, I am just Abbey." Then, I asked, "Oh, are you princess Abbey?" She again replied that she was "just Abbey". About 30 minutes later, she gasped loudly exclaimed, "I need my blue crown!" She said it suddenly, out of the blue, like it was some big epiphany! I guess she was still thinking about my queen and princess comments and she thought that although she wasn't an actual queen or princess, she could pretend to be one. I had purchased a few fun dress-up costumes at a garage sale a little over a year ago that I hoped she might enjoy some day. Most were hung up in the back of her closet. A couple of little princess crowns were included in that group of costumes. Luke was eager to help her find the crown. He was the first up the stairs and we soon found a crown. But, Abbey said,"No, not that one, the Blue one." Oh, I didn't even know she knew she had a blue crown. But, apparently, she knew all about it. We found it and placed it on her head. Then, she needed a beautiful gown to go with it. We all were having a fun time dressing Abbey up. We were having so much fun, that I failed to get a photo of her first beautiful dress up costume. She first donned a white ball gown to go with her blue crown. 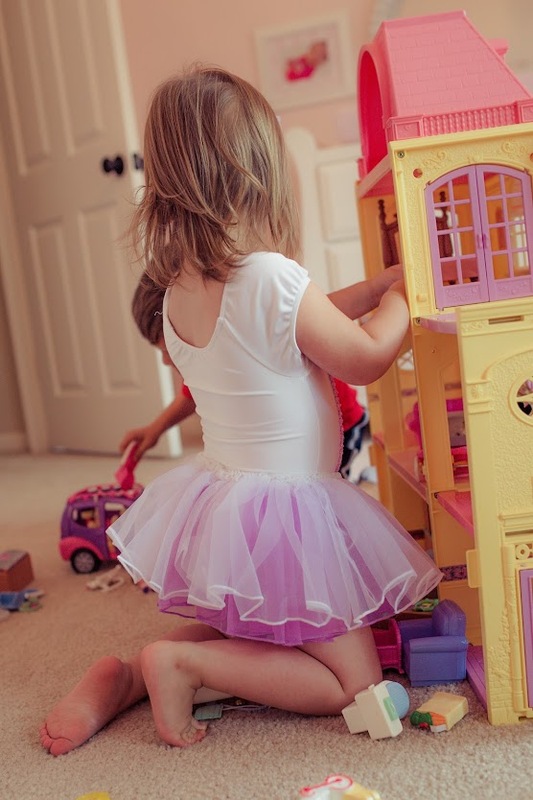 But suddenly, she noticed the little princess ballerina leotard in her closet, and needed that one on immediately. The outfit wasn't complete though without the little white pretend heels. So, we did a quick costume switch, and that leotard was what she wore the rest of the afternoon. I captured some photos of her in that costume. The girl moves VERY quickly, so I didn't capture too many. 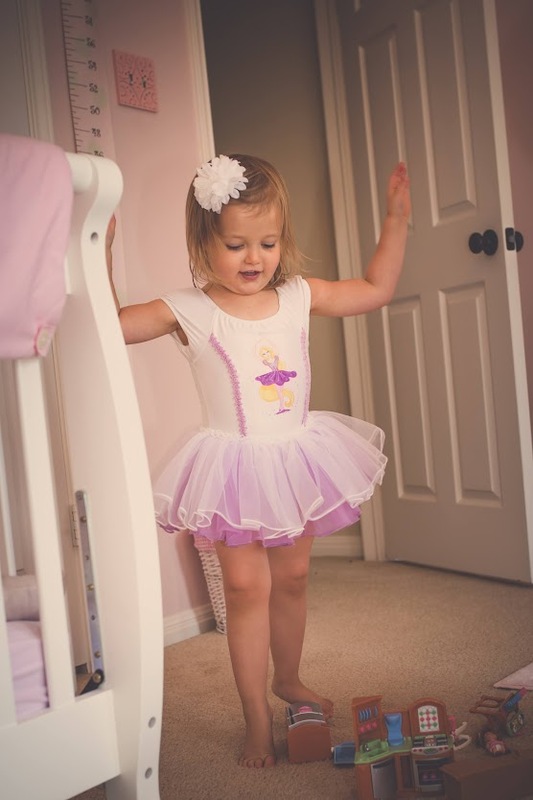 Here is Abbey, as she is saying she is "being a pretty ballerina". Now, this post really isn't anything special to most people. But, it is still something I want to remember. I have been told to cherish these precious moments. Someday, our little Abbey girl will be donning a wedding dress, instead of a pretend costume. For now, she is enjoying being a little girl and doing "little girl things." 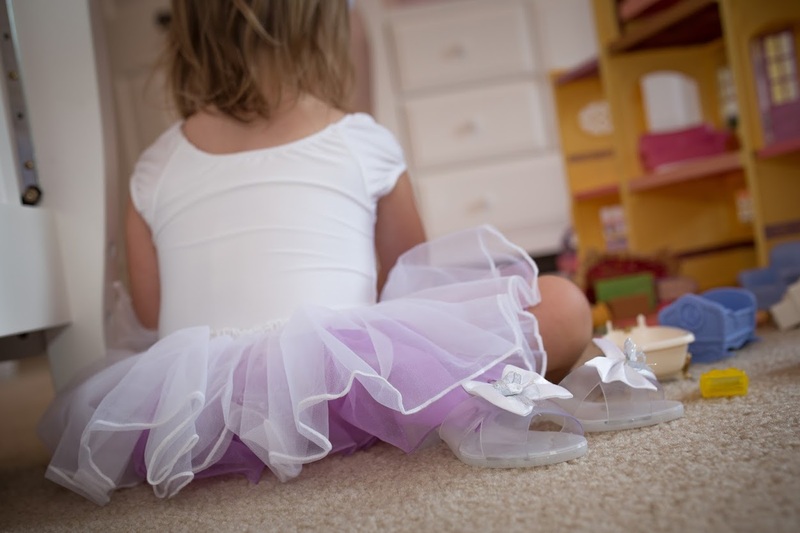 What's funny is that I figured that little girls who enjoyed dressing up were in some ways guided by their mothers to find the love for that. But, I guess that just isn't always the case. Abbey gets giddy about going shopping (it happens very rarely for us, as Luke doesn't enjoy it). When we do go shopping, she will exclaim things in a super-high squeaky voice such as, "those shoes are so cute", and "oh my goodness look at that pretty pink dress!" Apparently, she also really enjoys trying on "outfits." I promise you, folks, this girl was not groomed by me to enjoy these things (although I do enjoy the rare shopping trip for something other than groceries). I guess she was just born this way! Luke, on the other hand, doesn't enjoy dressing up yet. But, he has several acrobatic tricks that he enjoys performing. SO, I may as well end the post with a photo or two of Luke. 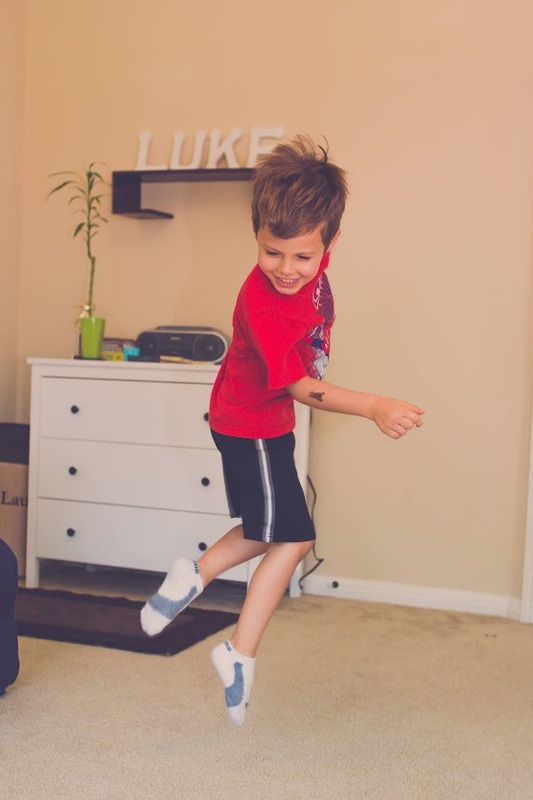 Luke was in Awana Cubbies last year (and he will be attending coming up again in September). It is such a wonderful program. Many times, at the end of the class, the kids could volunteer to perform their "talents". 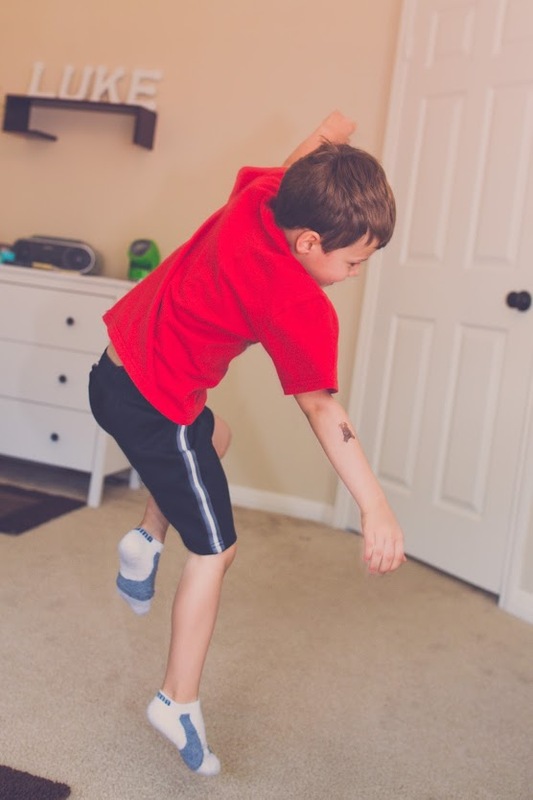 Luke tells me this is the one he performed: the spin jump. I am so thankful to have this special time with the kids, watching them grow and and helping to shape, mold and teach them. It is also so much fun seeing their personalities grow and development.